Have you noticed how most beauty brands rarely collaborate with celebs these days? Instead, they use beauty bloggers and vloggers who have at least hundreds of thousands of followers. According to Forbes, "Social media influencer marketing is the largest shift we have seen in the beauty industry in terms of driving growth." Thanks to platforms like YouTube and Instagram, the amount of content these influencers are able to create is increasing and costs almost nothing to make! In fact, if you compare the power of celebrity collaborations with those of influencers, Forbes reports that influencer collaborations brought in two times more than traditional celeb collabs. That's because consumers now get their product information from YouTube videos. Just look at Tarte: The all-natural beauty brand was able to double the sales of its Amazonian Clay Matte Palette when it partnered with 12 social media influencers, says Women’s Wear Daily. Consider, too, the time Arielle Charnas of Something Navy merely Snapchatted about YSL mascara, resulting in 422 units flying off shelves in just 24 hours, reports The LA Times. And when it comes to NYX and BECCA Cosmetics, you can really see just how big of an impact influencers have—the brands have become multi-million dollar empires, thanks to blogger and vlogger reach. The former was able to grow its social media engagement by sending influencers new products to try every month—naturally, online content about NYX's products followed. 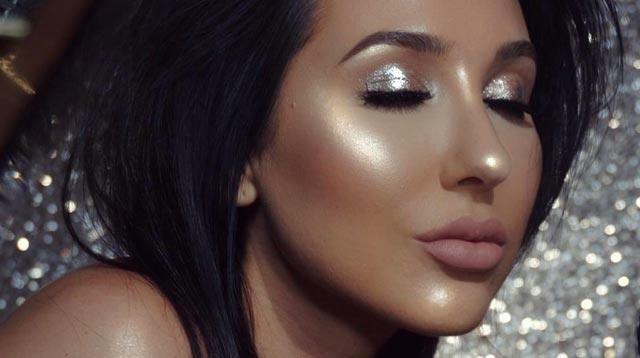 The latter, on the other hand, was able to exponentially grow their social media presence when they partnered with just ONE YouTuber—you know, someone named Jaclyn Hill, who collaborated with BECCA on the ~highlighter of your dreams~. It's Champagne Pop, in case you've been living under a rock these past few years! But at the end of the day, the success of social media influencers comes down to trust and authenticity. According to The LA Times, the influencer's individuality and voice is what allows them to connect to readers in a way that print and digital magazines are struggling to do. So long as posts are clearly labeled and transparent (for instance, if they're sponsored), then online content continues to make bloggers and vloggers the beauty world's newest and most in-demand authorities. Who are your favorite beauty influencers, CGs?